Disclosure: I work with GigaSavvy and all opinions are my own. Who doesn't love heading to a theme park for a food fest? 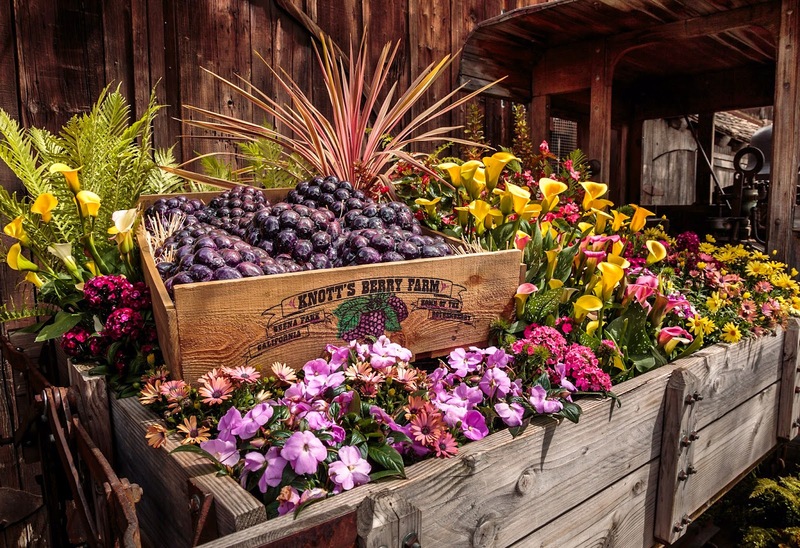 Knott's Berry Farm's Boysenberry Festival will be in full swing from March 28 – April 12, 2015. The 16-day festival returns with an unforgettable lineup of exquisite Boysenberry Bites, dazzling entertainment, gourmet food and the Wine and Craft Brew Tasting Garden, plus the limited time return of the classic Bear-y Tales characters in a pie making kitchen, and more! If you follow me on Instagram, you probably have seen my fondness for food. So guess who is really excited to try all the exciting Boysenberry offerings this Spring? In the 1930s Walter Knott harvested the boysenberry, a cross between a loganberry, red raspberry and blackberry, and named the new berry after its originator Rudolph Boysen. Today, all boysenberries in the world can trace their roots back to Knott’s Berry Farm. The Park will once again make delicious history with the debut of its very own farm-made Berry Market™ Boysenberry BBQ Sauce during the widely acclaimed Boysenberry Festival. During the food fest, the tangy, finger lickin’ good sauce will add the perfect flavor to ribs, BBQ chicken, chicken wings, and more. I am definitely a BBQ gal and can't wait to try the acclaimed Boysenberry BBQ Sauce! Other must try Boysenberry Bites include fried cheese curds paired with a spicy boysenberry dipping sauce, fish and chips sandwich with boysenberry tartar sauce, Boysenberry ICEE Floats (I think my kids are definitely going to enjoy this! ), Boysenberry Frappuccino and Latte (served at the new Gourmet Coffee Hut), and more charbroiled treats cooked on open-air barbeques throughout the streets of the festival. 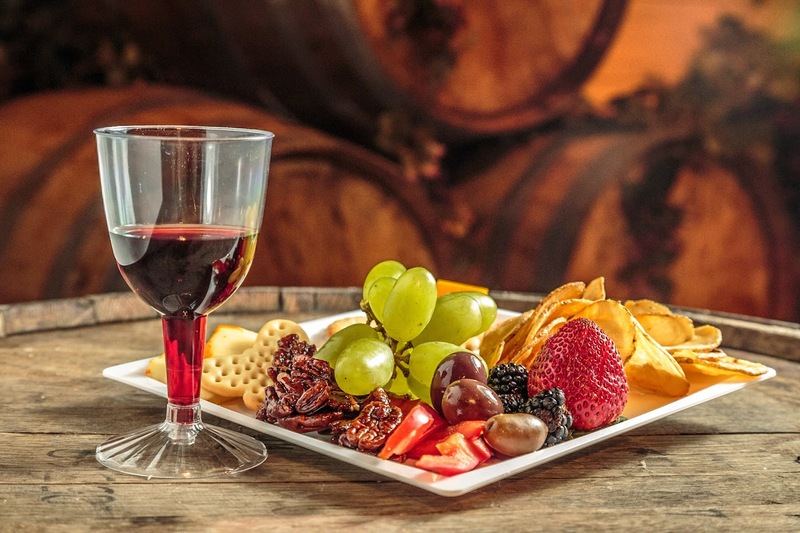 Additional fee for tastings. 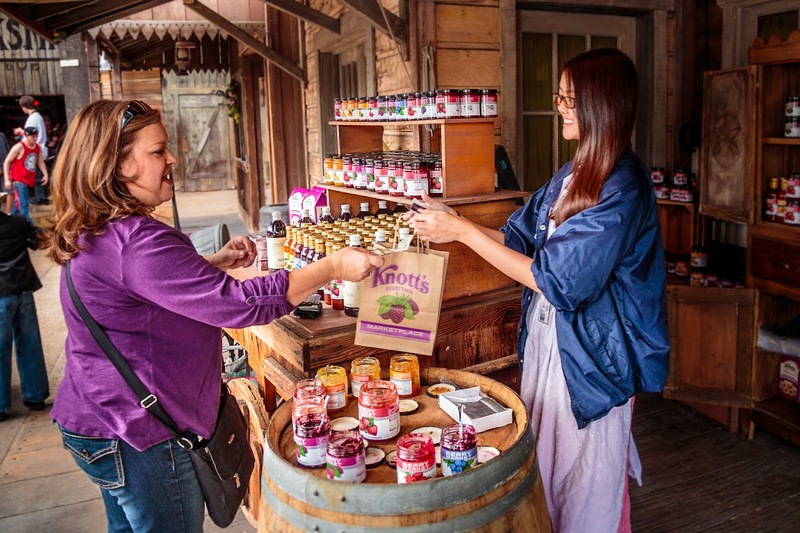 Guests who want to take home the exquisite sauce can do so by stopping by the Berry Market, General Store in Ghost Town or by visiting knotts.com. 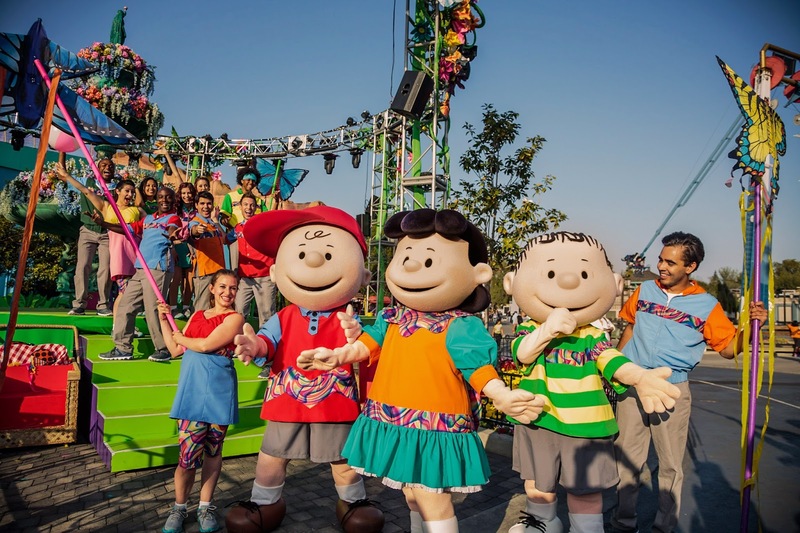 My kids are young so they like hanging out at Camp Snoopy so we will definitely check out all the Spring decor and shows as well as get on some of the rides. We will also check out the Ghost Town’s Craft Barn where they will be able to make their own sweet boysenberry tarts complete with a crumble topping! So much fun for budding bakers (*additional fee). Birdcage Square is where the hustle and bustle of the festival will be where a stage will be set for daily contests like pie eating, a pie walk, a daily chance for girls (up to age 11) to be crowned Miss Boysenberry, and Grandpa’s Boysenberry PJs Contest, where guests will race to stuff the oversized long johns with balloons. In the evening, the Square will have guests kicking up their heels with vine dancing, a down home jug band and dueling fiddlers and banjos! 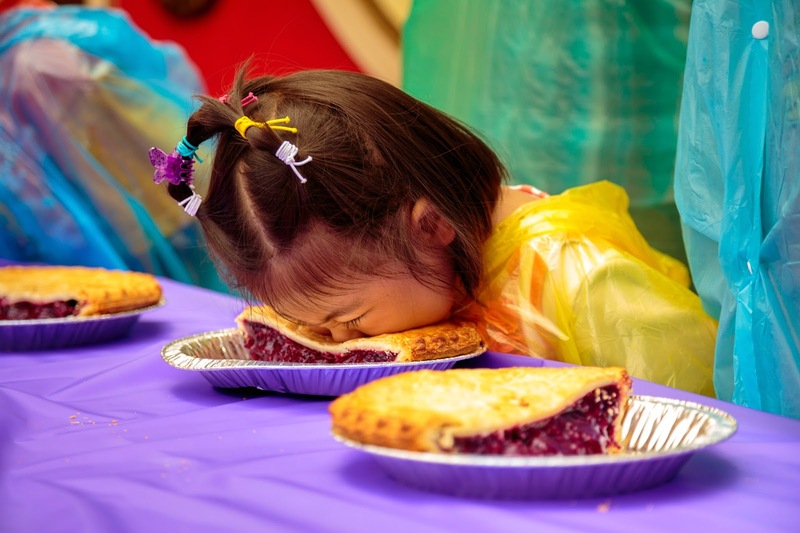 Maybe Kenzie will be brave enough to tackle the pie eating contest or try out for Miss Boysenberry? Who is excited about the Boysenberry Festival coming to Knott's Berry Farm? Head to Knott's Berry Farm from March 28 – April 12, 2015 for good food and family fun! One winner will receive Two Tickets to celebrate the Boysenberry Festival at Knott's Berry Farm! I would like to try the boysenberry bbq sauce. I would take my kids! I would try Boysenberry Bites with my daughter. I'd try Boysenberry Bites with my daughter. I'm most excited to try the Boysenberry ICEE Floats! I would take my hubby! I would take my daughter and we are excited about the make your own tarte- how fun! I would love a taste of everything but the Boysenberry Frappuccino is calling me. I would take my mom who loves boysenberry! I would love to try the fried cheese curds. Yum! I would take my husband. I would like to try the Boysenberry Bites with my daughters. I'd like to try the BBQ sauce! We have passes but I would live to take my mom and sister!